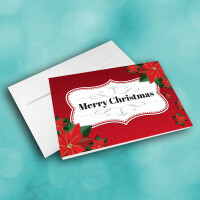 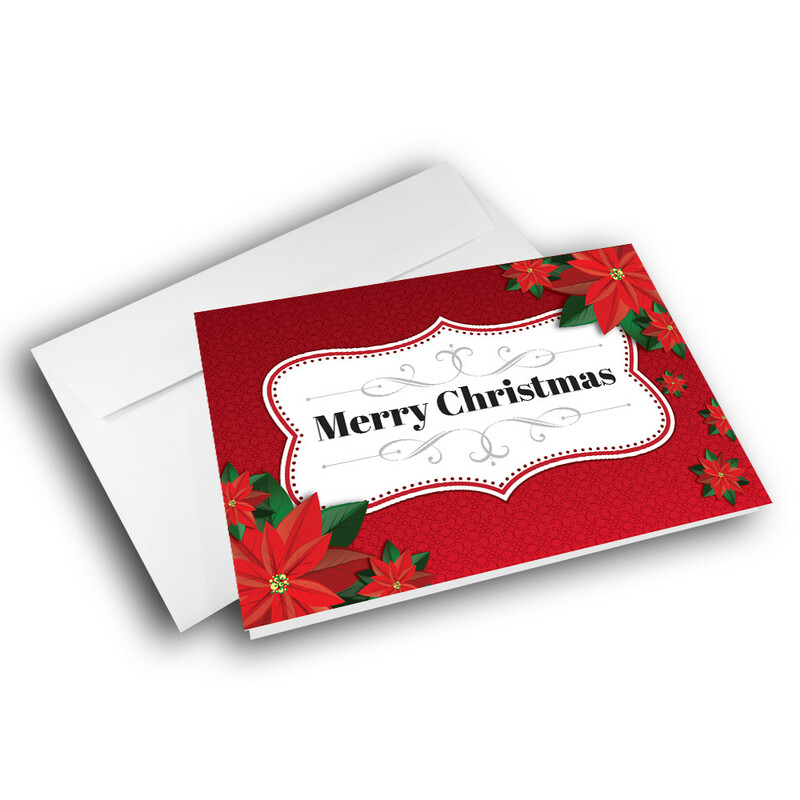 Whether sending holiday greetings for business or pleasure, this Christmas card is sure to be memorable. 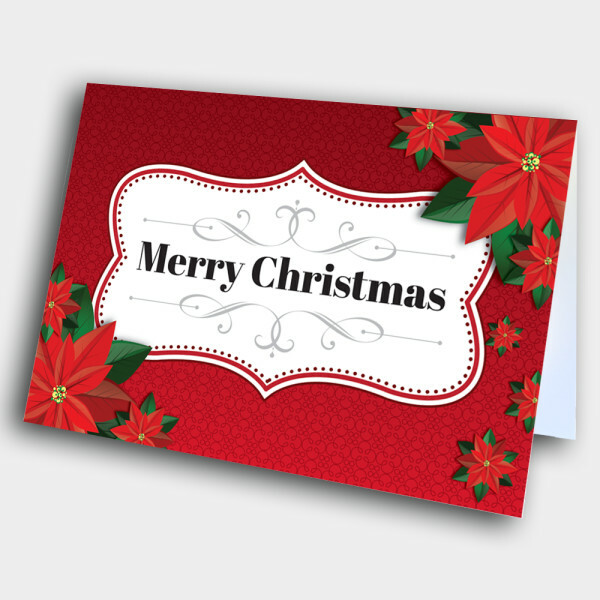 This Christmas card is both professional and festive, making it suitable for both businesses and personal life. 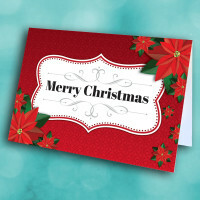 Against a patterned, deep-red background sits the decorative greeting bubble. Surrounding this artistic greeting are bright, detailed Poinsettias. 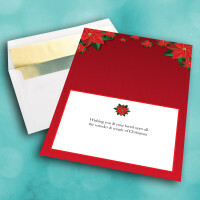 The inside is adorned with more of these flowers, as well as a simple message. 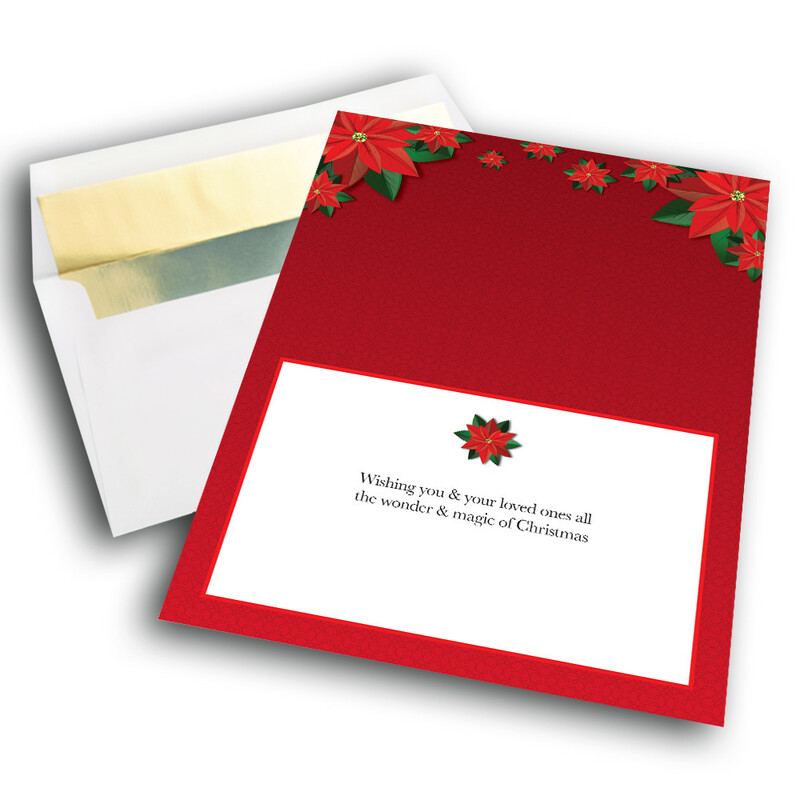 Customize this message to make this holiday greeting card more meaningful.